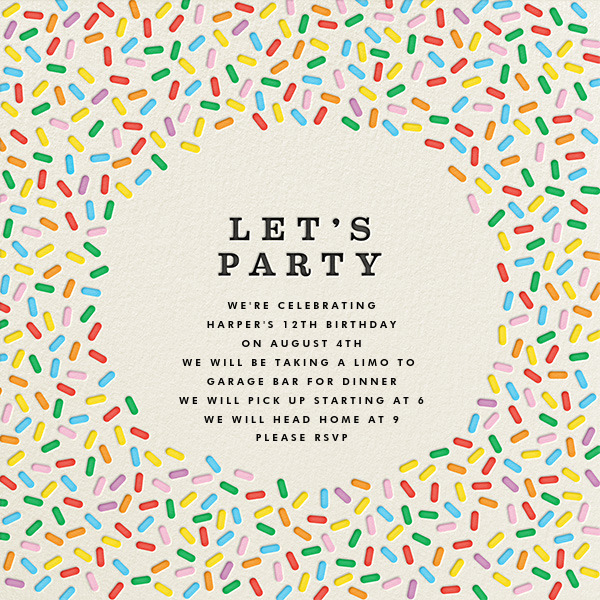 Harper turned twelve in August and we wanted to celebrate tween style! We decided that taking a limo to a cool pizza bar would be the perfect evening for her and her friends! We chose an adorable sprinkles evite from Paperless Post and we loved it! We found these cute lucite boxes and filled them with sour Skittles and finished them with cute seals from Minted! A sparkler candle was a fun way to top off Gigi’s cupcakes! Birthday cake and chocolate were perfect! There are so many cute doughnut and sprinkles party supplies right now! You could go crazy! The limo was perfect and the girls had a great time! Root beer and pizza made for a fun dinner! My sweet girl is twelve and had a great night! I can’t believe how fast time flies!